Today we continue our series on Rebuilding the Republican Party. So far we have laid out a new statement of principle for the party, and we discussed the importance of the Constitutional separation of powers, particularly as it applies to judicial activism and the improper shift of power (czars) from the legislature to the executive. Now, we step back slightly and outline the history of the Republican Party. The left distorts the party's history to keep their own interest groups brainwashed and angry, but the fact is that (like them or not) the Republican Party has been the driving force behind almost every important innovation in United States governance since the Civil War. Read on, you will be surprised. The Republican Party (GOP) was founded in 1850 by anti-slavery activists, though its intellectual roots go back to the founding of the republic. Within a few years of its founding, the Republican Party replaced the Whig Party, which had itself replaced the Federalist Party, as one of the two main political parties of the United States. The first official meeting of the Republican Party took place on July 6, 1854 in Jackson, Michigan. In 1856, the party became a national party, when it nominated John C. Fremont for President. He ran under the slogan: “Free soil, free labor, free speech, free men, Fremont.” These were references to the party’s opposition to slavery and its support for granting western land to settlers free of charge. In 1860, Abraham Lincoln became the first Republican to become President of the United States. Lincoln gained national prominence after his run for the United States Senate in 1858, when he failed to unseat Stephen A. Douglas, the incumbent Democrat. As part of that campaign, he and Douglas engaged in a series of seven famous debates that became known as the Lincoln Douglas Debates. In 1861, the Democratic Party-dominated South, seceded from the Union, beginning the Civil War. President Lincoln struggled between 1861-1865 to defend and reunite the Union. During the war, President Lincoln signed the Emancipation Proclamation, freeing the slaves. At the same time, Congressional Republicans passed the Thirteenth, Fourteenth, and Fifteenth Amendments to the Constitution. The Thirteenth Amendment outlawed slavery. The Fourteenth Amendment guaranteed equal protection of the law for all persons, and prohibited the state from depriving any person of life, liberty, or property without due process of law. The Fifteenth Amendment guaranteed all citizens, of any race, the right to vote. In February 1870, Republican Hiram Rhoades Revels was sworn in as the nation’s first African-American United States Senator. The following month, Republican Joseph Hayne Rainey became the first African-American member of the U.S. House of Representatives. In 1872, Republican Pinckney Benton Stewart Pinchback became the nation’s first African-American governor, when he became governor of Louisiana. Nearly one hundred years later, Republican support was crucial for the passage of the Civil Rights Act of 1964, which outlawed racial segregation in schools, public places and employment. Desegregation of the military was completed by Republican President Eisenhower ten years prior. President Eisenhower also enforced the Supreme Court’s decision in Brown v. Board of Education. In 1896, the Republican Party became the first majority party to favor women’s suffrage. This eventually resulted in the Nineteenth Amendment, which guaranteed women’s right to vote. Republicans controlled twenty-six of the thirty-six state legislatures that ratified the Nineteenth Amendment. In 1917, Jeanette Rankin, a Republican from Montana, became the first woman elected to Congress. Protecting the country and the free market from the abusive powers of monopolies and oligopoly trusts became a driving principle of the Republican Party in the 1890s. In July of 1890, Republican Senator John Sherman introduced legislation to protect the free market from the distorting power of monopolies and other anti-competitive arrangements. This act was signed into law by Republican President Benjamin Harrison, “to protect trade and commerce against unlawful restraints and monopolies.” This historic legislation, the Sherman Antitrust Act, remains the fundamental antitrust law in the United States today. Republican President William McKinley thereafter appointed the U.S. Industrial Commission on Trusts, which investigated the market distorting practices of oligopoly trusts created by many of the industrial titans of the era, the so-called “Robber Barons.” Republican President Theodore Roosevelt, who earned the nickname the “Trust Buster”, seized upon this report to break up these anti-competitive arrangements, as did Republican President William Howard Taft, ushering a period of tremendous economic growth as the American economy and the nation's small businesses were freed from predatory economic practices. 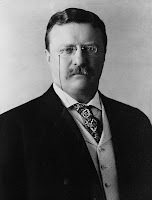 Republican President Roosevelt, promising a “Square Deal” to the average citizen, became the first President to seek to protect the consumer from the hidden dangers of impure food and bad drugs. The responsibility for monitoring food and drugs was given to the U.S. Department of Agriculture Bureau of Chemistry, which eventually became the Food and Drug Administration. In 1883, Republican President Chester A. Arthur created the bipartisan Civil Service Commission, which required that most federal jobs be awarded on the basis of merit rather than the “spoils system.” The most famous commissioner of the Civil Service Commission was Theodore Roosevelt. In 1938, the Republicans worked with Democratic Senator Carl Hatch to pass the Hatch Act, which forbids federal employees from engaging in political campaigning on the job; forbids officials paid with federal funds from promising jobs, financial assistance, contracts or other benefits to coerce campaign contributions or political support; and prohibits the use of federal funds for lobbying. This act was in direct response to discoveries that funds allocated to the Works Progress Administration had been misused by WPA staff members and local Democratic Party politicians to promote the Democratic Party in the 1938 congressional elections. The Republican Party has a strong tradition of environmental protection. Abraham Lincoln set Yosemite apart for public use. Republican President Ulysses S. Grant created Yellowstone National Park. 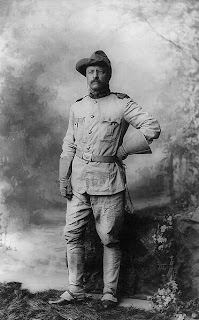 Theodore Roosevelt established the Forest Service to promote environmental conservation and to protect federal land. He also achieved passage of the Antiquities Act, which allowed him to designate historic landmarks as national monuments, allowing for their protection and preservation. Additionally, he created fifty-three national wildlife refuges and eighteen national park and preserves, including the Grand Canyon, Devils Tower National Monument in Wyoming, and the National Bird Preserve on Pelican Island, Florida. Republican representatives cosponsored the Wilderness Act of 1964, protecting wilderness areas across the United States. President Richard Nixon pushed for the Clean Air Act, which set standards for pollution emissions, and for the Endangered Species Act, which sought to protect endangered species and their ecosystems. Other environmental acts promoted by Republicans addressed toxic substances, safe drinking water, oil pollution, and river preservation, among others. President Nixon also created the Occupational Health and Safety Administration to protect workers’ safety. In the early 1900’s, President Theodore Roosevelt created the Panama Canal, shortening the distance from New York to San Francisco by 8,000 miles. The Panama Canal remains one of the most important routes for world trade to this very day. Ronald Reagan became President in 1980, promising a combination of tax cuts and decreased regulation. This policy, labeled Reaganomics, led to the longest period of uninterrupted economic growth and prosperity in American history. In 1994, the Republican Party seized the majority in the House of Representatives for the first time in forty years. The Republicans immediately turned to balancing the federal budget, which they cut by 10%; reforming the welfare system, which had discouraged work; improving Medicare, which was nearing insolvency; and commissioned the first independent audit of Congress in its history. These policies led to a surge in growth and prosperity, and brought about a surplus in the national budget. After decades of isolationism, Theodore Roosevelt steered the United States more actively into world politics. His foreign policy, which he characterized as “Speak softly but carry a big stick,” included sending the Great White Fleet on a goodwill tour of the world, ensuring construction of the Panama Canal, and mediating an end to the Russo-Japanese War, for which he won the Nobel Peace Prize. President Warren G. Harding, who coined the phrase “founding fathers” in his keynote address to the 1916 Republican National Convention, negotiated the Washington Naval Treaty in 1923, which slowed the world’s naval arms race, reduced tensions between western navies, and ultimately led the United States to develop naval aircraft carriers, which allowed America to defeat Japan in World War II and which remain the basis of American military power throughout the world today. President Eisenhower championed the creation of the nation’s interstate highway system in 1956. Ronald Reagan rebuilt America’s military, which had languished after Vietnam, and won the Cold War, bringing down the Soviet Union and freeing millions of Eastern Europeans from communist oppression. Top that democrats. . . I'd forgotten about Reagan's "the government's view..." quote. Powerful. Thanks for the reminder. Excellent post, Andrew. Again, you wonder why politicians--who have access to more speech writers, fact gatherers, and personal assistants--can't put together and communicate something equally as impressive. Thanks Writer X. I don't understand why the Republicans are so inept these days. You should have seen the history they had on the GOP website during the election. After mentioning Freemont and Lincoln, they mentioned 9/11 and then finished with nearly a page about volunteerism by party wokers. Huh? i'll be honest, i had chills and tears in my eyes reading this. we have got to pull on our boots and reclaim our badass roots. if you don't mind, i'll link this. Thanks Patti. I'm glad you liked it. By all means, feel free to link it. And you're right, the Republicans need to stop being ashamed of who we are and what we've achieved. I don't agree with how some of these programs have been twisted, but the intent was good, and the twisting can be undone. So we should be proud of our achievements and we should strive to improve them. We should not just abandon these things to the democrats. Great article Andrew. My one quibble, and it's not in your analysis but how the system reversed something is the one about how "Republicans De-Politicize The Federal Workforce." Yes we did, but now the AFGE is one of the largest (600,000 member) unions in the country, and does what any union does, meddles in politics. How did we get to that point? I'm not exactly sure, but the Federal workforce is heavily unionized, hence politicized again; although in a murky and easily deniable way. That's one of the reasons that the unions in general are for bigger government, a hell of a lot of union dues are collected from Federal employees. The more dues you have, the more policy you can "influence." Andrew: A great article which warmed the cockles of my old historian's heart. Warm cockles are a very good thing. The Democrats love "firsts," but all the firsts worth talking about came from the Republican Party. My favorite quote from C. Coolidge was his reaction the the public safety employees general strike, about which he said "Nobody has the right to strike against the public good." Please note: First Republican to be nominated for the office of President--A Californian. Of course, he was also the first to lose. Since I was born in Illinois, I'm not sure what to make of all that. Captain: It took the Republicans to come up with the Civil Service system to replace the spoils system. It took the Democrats, leftists, union bosses and a compliant liberal Supreme Court to ruin it by declaring that there was no conflict between the statutory protection of professionalism in civil service and partisan membership in a union dedicated to almost everything except professionalism in government. Lawhawk, I was sort of guessing it was something along those lines. Personally I think the very notion of a Federal employees' union is insane, but hey no one asked my opinion on it when they were doing it. Hell I probably wasn't even born then, but it's still a stupid idea to me. Lawhawk, thanks. Coolidge deserves much more awareness than people give him. He was Reagan before Reagan. I have to disagree in part. Under the spoils system, all federal jobs (including military officer positions) were awarded in exchange for political favors. That was changed by the Republicans and that change remains firmly in place today. Moreover, on a daily basis, the federal bureaucracy is extremely apolitical. They do not "politic" for candidates or parties, and they don't steer money or contracts to favored person. And when they do, it is a scandal that usually ends up with a criminal prosecution. That said, however, there are serious holes in the system that should be plugged. What you are talking about is the politicization of unions (including the federal employees union). Believe it or not, unions used to be generally non-partisan because they believed that aligning with one party would hurt their cause. That changed and by the 1960s, they had become just another arm of the democratic party. Not coincidentally, that's when their membership tanked, a trend that continues today. Andrew, yeah I should have been more specific, it's usually not the members of the Fed unions that are politicized, but the leadership, but the dues do go somewhere. Wow Andrew. That's really a great post. My internet had been down most of the day, so this was the first chance I had to read that. I gotta agree with Writer X-- with so many achievements behind the Republican party, how can the party be so directionless? The only thing I can think is that we haven't had a real leader step forth yet. But, I keep reminding myself (as many of us do) that Carter brought us Reagan. I'm just waiting to see who Obama brings us. It's too bad the Republicans don't take more credit for these things because that's what lets the left accuse them of being out of touch and doing nothing for average people. What a forward-thinking party of change. Andrew, you make the history major in me proud to be Republican. Thanks! When I first started gathering the history of the party, I was honestly amazed. I knew much of this, but I'd never put it all together before. And some of it, frankly, I simply didn't know. Hopefully, the party will start to reclaim its heritage and again become a party of principle. But he learned it from Republicans. At some point in the series, I'm going to do a series of articles about how most of the historical Democrats (like Jefferson and Kennedy) would no longer fit into the Democratic Party, but would instead be considered right-wing Republicans today. StanH, you're welcome, I glad you are enjoying them. I am hoping in this series to give everyone a sense of what the party has stood for, what it should stand for, and how to defend and explain those views. As the series continues, I'm looking to walk through each of the issues that reflect upon Republicanism (even the controversial ones -- but they need to wait), to dispel a few (lot) of democratic views, and to finally offer a series of very workable, common sense policies. Hopefully, by that point, we will have a guidebook of sorts that we can point the party leadership toward and say -- this is what you are, get with it. If we could just hire the lefts History Re-writers we might be able to untangle the historical lies being put forth by the left. Will-full ignorance is one of the worst sort of crimes. I found this on you-tube it's the perfect example of not wanting to know the truth. Hitchens chops up Mos Def dumb statements of not knowing or more to the point not wanting to know. I agree. Not only the willful ignorance, but also the knowing distortion is an affront to truth. How do we move forward as a species if go around lying about the facts to make ourselves look better. I also found myself getting an education on a few points, which is always a plus. I do think Republicans have at least a few good, potential leaders waiting in the wings. One of the main problems seems to be that the current GOP leadership either is too stupid to promote the good, principled up-and-coming republicans we have, or they don't want to (perhaps afraid of being overshadowed, or putting their power and privilege above the good of the party and country). And Michael Steele in charge of the RNC? Disaster after disaster. BTW, I might not always have time to comment, but I intend to keep reading your excellent series, Andrew. Thanks USS Benn, we're happy for any comments anyone wants to leave. I agree with you. The current leadership (like the prior leadership and the group before that) just don't seem to get it. We don't seem to have any system to give future leaders public exposure. Nor do we seem to train any of our politicians in public speaking, in policy, or even in party history. Also, whoever handles the party's publicity is horrible -- have been for years. They need to be fired immediately. I had high hopes for Steele because I remember him in Maryland and he was quite impressive. But since he's become the leader, he's all but disappeared except when he puts his foot in his mouth. Hopefully one of our smart readers will see this series and say, I can do that, and we can create a whole generation of Commentarama Republicans to take over the party and set it right again. Just a note. The same Republican economic policy that brought in those great tax cuts and ushered in the roaring 20's were also a major factor contributing to the depression. Actually by leaving the economy totally unchecked and unregulated they pretty much caused it! Modern History, I'm always amazed at people who will spout off without any understanding of history or economics. You are an idiot. There is no other way to put it. And maybe you should stop telling others what you "think" and start listening to others for a change? Or try reading a book? They don't bite. Seriously, get a clue before you speak next time. Been doing some back reading and this article prompts a question. I know it is a common claim by fans of FDR that Coolidge's policies and the roaring-20s actually caused the Great Depression. Now, I don't buy that, mainly because I've never received an explanation for it. Do you happen to know if there is one? tryanmax, A fairly strong recession began after the stock market collapse. History has morphed all of that into the Great Depression though the worst parts didn't hit until later and the depression itself ran for many years under FDR -- something like 9-10 years. 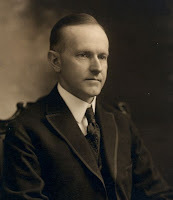 But liberal historians decided he "saved" America from it, so they dumped all of it in Coolidge's lap. I guess then I should modify my question to ask how Coolidge policies are credited with the market crash? Or is causality just assumed because of coincidence? I suppose my real question is, how have revisionist historians altered the past to justify their assertions? Or did they even bother? Maybe I'm asking for too much, because I look for cause and effect in things, while liberals just assume cause and effect when one thing happens before another. tryanmax, Coolidge gets blamed the same way other presidents get blames when they are in office when bad things happened. The general case made is that Coolidge's free market policies allows "speculators" to create worthless companies and defraud the public. And when people realized these companies were worthless, then they pulled their money out of stocks which led to a run on banks, which caused the Great Depression. But that's not accurate, as you might have guessed. Ah! The old "all problems can be solved through regulation" trope, more or less. Exactly. That's how modern historians roll... at least the liberal ones. Question: What Books Would You Choose? Question: Who Would You Choose? Barack Obama. . . Magic Man! Okay, Now How Much Is THIS Costing Me? I Am Outta Here Suckers. . .
One of the Largest Muslim Countries In The World?